Recruitment of Prince Ichikano, Tottori lord of a castle Kamei 玆 quadrature "this paste" illustration University! 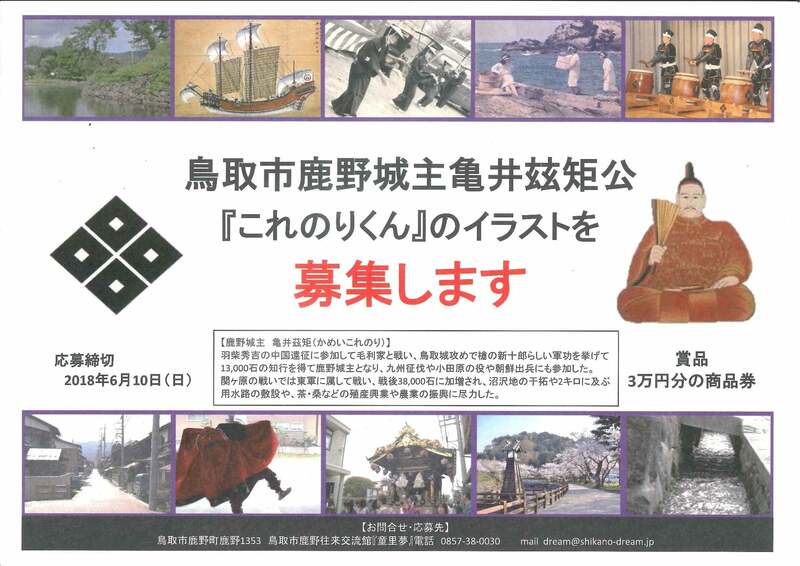 It recruits illustrations of image character "this paste" of Prince Ichikano, Tottori lord of a castle Kamei 玆 quadrature which made power for local development to have you know the west inaba area, and to have friendly feeling last. I use the best work for various printed matter, goods, signboards.